"This lighthearted, cozy read brought a smile to my face. Lovers of small town fiction are going to fall in love with "The Reading Circle."" --Marie Bostwick, author of "Between Heaven and Texas "
Welcome to the quirky town of Cherico, Mississippi, where potluck meetings at the local library provide a feast for mind and stomach alike. . . If some folks had their way, the Cherico library would have shut down long ago. Councilman Durden Sparks aims to divert funding to a cause dear to his heart--and his wallet. With the aid of gumption and good friends, librarian Maura Beth Mayhew has finagled a one-year reprieve, and the burgeoning book club is raising the library's profile one mouthwatering meeting at a time. But more members mean more opinions. . . While the "Forrest Gump"-themed shrimp dishes are a universal hit, meetings don't always go according to plan. Between spirited debate over book choices and surprising revelations and relationship hiccups--including Maura Beth's fledgling romance--there's a lot to discuss. And just when bad luck threatens to finish the library for good, the Cherry Cola Book Club may learn that the best stories have twists--and heroes--you never expected. . .
"Lee's buoyant David-versus-Goliath tale zestfully illuminates a real problem confronting libraries and cities of all sizes." 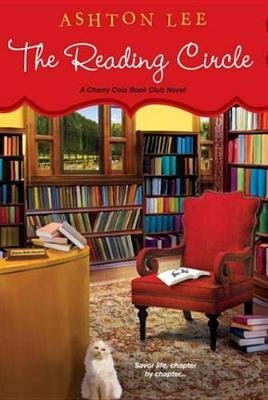 --"Booklist"
"Clever, sassy and as tasty as an icebox pie, "The Cherry Cola Book Club "is a rare treat." --Erika Marks, author of "The Guest House "